Back on the market - buyers sale fell through. LAKE MILLS ACCESS! 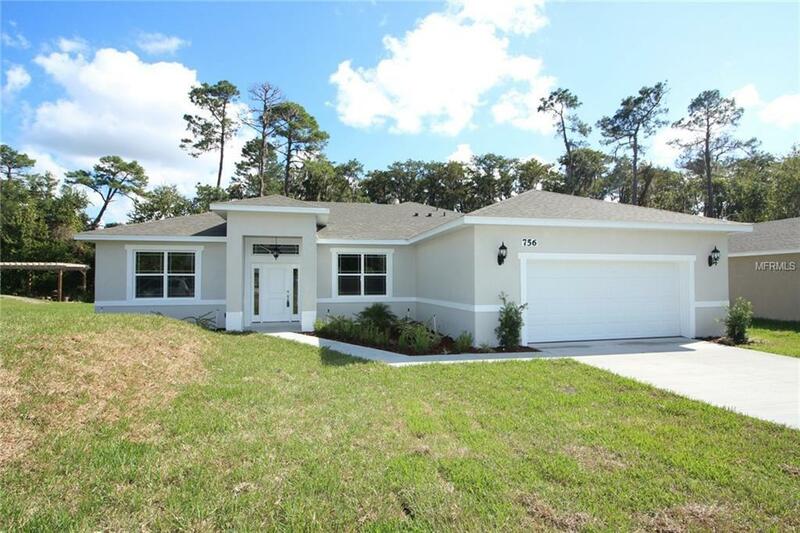 You are going to fall in love with this gorgeous BRAND NEW home in Lake Mills Shores. With it's spacious great room that opens to the kitchen, vaulted ceilings, upgraded modern cabinets and granite galore, this home has it all! Plus, if you're trying to escape the hustle and bustle of Oviedo's growing city, you're going to fall in love with this quiet and peaceful neighborhood. This beautiful home has a huge great room, dining room and foyer combo with endless design possibilities. The kitchen and breakfast nook all open into the living space, so the chef will never feel left out! The large master bedroom boasts high tray ceilings and double walk-in closets. The master bath has a spacious shower, double vanities and loads of storage space. The layout not only has a split-bedroom plan, but one of the bedroom/bath combos is set on the other side of the kitchen, giving it the feel of a guest or in-law space. With an upgraded 17 seer/3 ton a/c unit, vinyl low-E windows, recessed LED lights and R-30 batt insulation, your power bills will be the envy of the neighborhood. And the best part yet, is the super low HOA fee covers access to the community boat ramp, giving you everyday access to Lake Mills. Don't forget to bring the boat and some sunblock! This home is priced to sell so schedule a showing today!